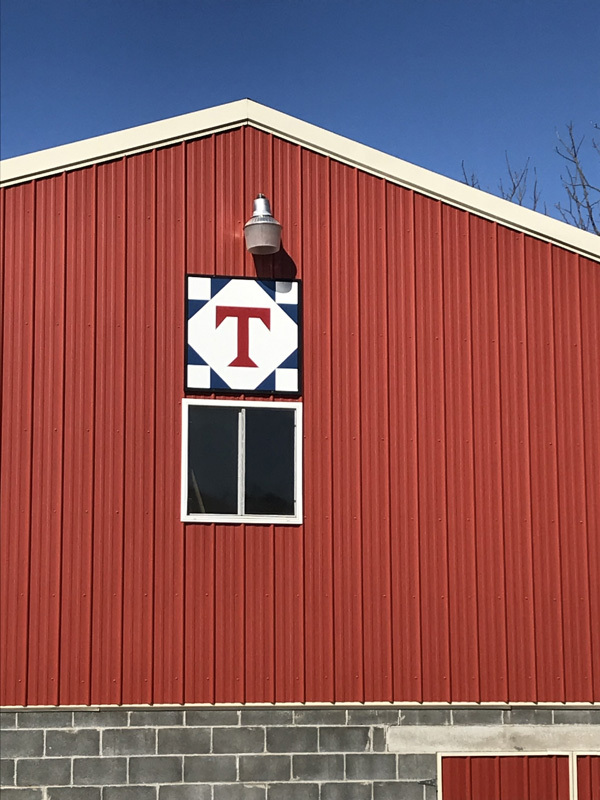 The giant “T” on our barn quilt represents our family name. We established our roots on this property in 2001 and this is where we decided to raise our family. We chose red, white, and blue because we are a very patriotic family and we love our country.